Self-Help for the Elderly provides custodial training to teach students basic and advanced skills in all areas of commercial building cleaning. Through this job training program, students are taught best practices and ways to be environmentally friendly. 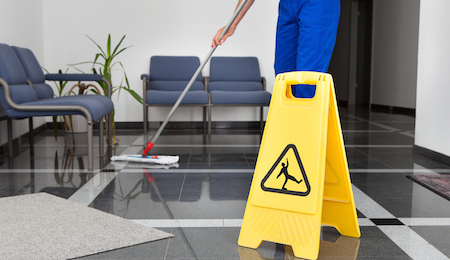 Commercial cleaning services require different training and cleaning practices than housekeeping cleaning. All students will experience hands-on training to learn techniques and practices for different scenarios. Two programs run each year, typically in fall and spring semesters. The program runs for approximately 9-13 weeks and holds classes a few times a week for a few hours a day. This job training program teaches students how to work with cleaning tools, chemicals and equipment. They learn the best cleaning techniques and how to handle different situations. This program is funded through San Francisco Office of Economic and Workforce Development’s Hospitality Initiative. Self-Help for the Elderly has partnered with City College of San Francisco to conduct the training. In addition, Self-Help recruits participants, provides case management, provides job readiness training and places graduates at the end of the program. All classes take place at City College of San Francisco’s Chinatown North Beach Campus. Students are given the chance to develop skills in custodial services through our custodial training program. Our job placement after graduation is over 80%, filling part-time and full-time jobs. To enroll for the next semester, give us a call today!